See-Dub: 2011 in review: The stories behind the Christmas card. 2011 in review: The stories behind the Christmas card. What a year it's been! Here are the photos that made the cut for this year's Christmas card. The texts started coming toward the end of first period. I was at work, but Brett was in the audience, watching Katie in the spelling bee. I had a hard time focusing on Beowulf because I couldn't wait for more news from the bee! 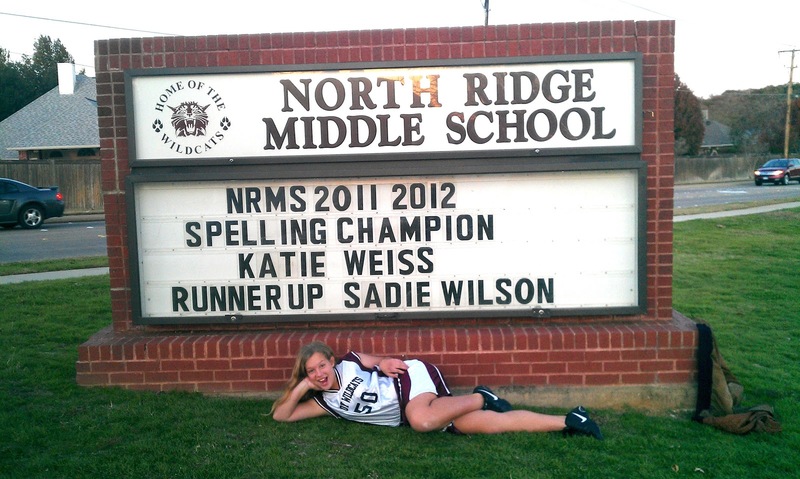 Finally, the text arrived: Katie had won! Those hours of practice and all the Post-Its with spelling words stuck all over the house had paid off. 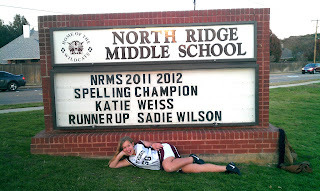 Katie now is preparing for the district bee in February. 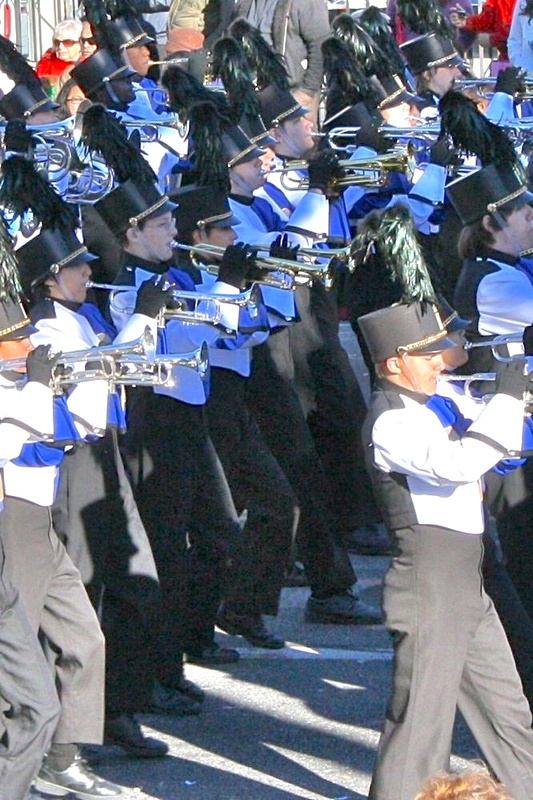 The fall marching season culminated with the RHS band competing at the BOA Super Regional contest in San Antonio. 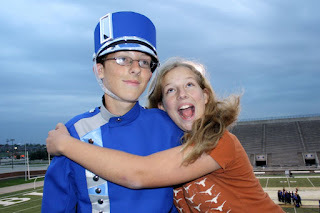 Before leaving for that event, the band played in its home stadium one last time. Ryan and the rest of the band spent many hours in the brutal August and September heat to perfect this show, but wow, was it worth it. We loved watching "The Diary" come into being with each performance, and we were so very proud of our favorite baritone player. After months of hard work, Brett finally got to hold his latest pride and joy: Classic Home Video Games, 1989-1990. This third volume of his critically acclaimed book series covers Sega Genesis, Neo Geo and TurboGrafx. 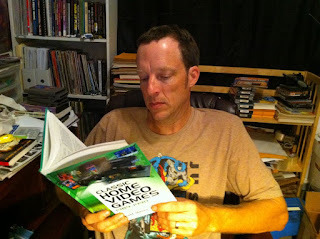 The book is available via Amazon, but Brett's really looking forward to taking it to some gaming conventions in 2012. Our son has an addiction to the reality show Survivor. He knows all the trivia; he even knows many of the contestants through Facebook and Twitter! On this particular Wednesday night, host Jeff Probst answered a question Ryan had asked him. (You can see Jeff's answer on his Tout site.) 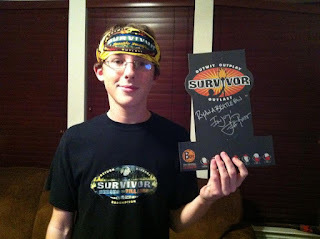 A few days later, Ryan received his buff along with Probst's autograph. It was a deserving prize for the world's biggest Survivor fan. Among his Survivor-related activities was an online game, complete with alliances and immunity challenges. Care to guess who was the sole survivor after the last online tribal council? The two weeks I spent at the University of Nevada, Reno, was one of the highlights of my teaching career. The high school journalism teachers in the institute stayed at the Silver Legacy Resort and Casino, took classes at UNR and produced an online newspaper. 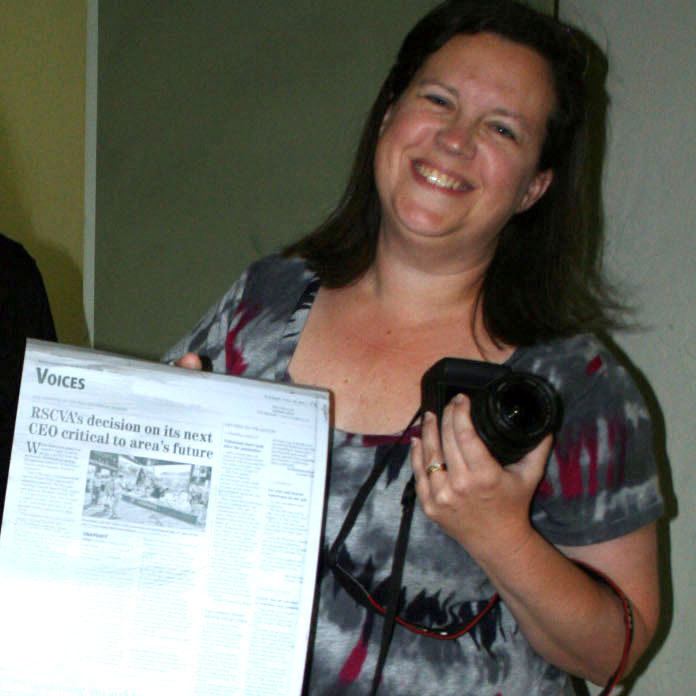 Along the way we learned so much to take back to our newspaper staffs and formed some great friendships. All of us fellows were wined and dined and treated to some amazing excursions, including dinner at a Basque restaurant, a trip to Virginia City, Nevada, and a weekend visit to Lake Tahoe. Watching Twelfth Night while huddled under a blanket on the sandy Tahoe shore isn't something I'll soon forget. 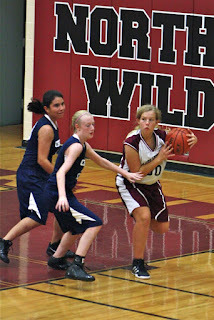 It's been so much fun to watch Katie dominate the boards during her seventh and now eighth grade girls basketball games! She is usually her team's first or second leading scorer, but her specialty is defense. We haven't seen the stats, but we'd bet she leads the league in steals and tie-ups. 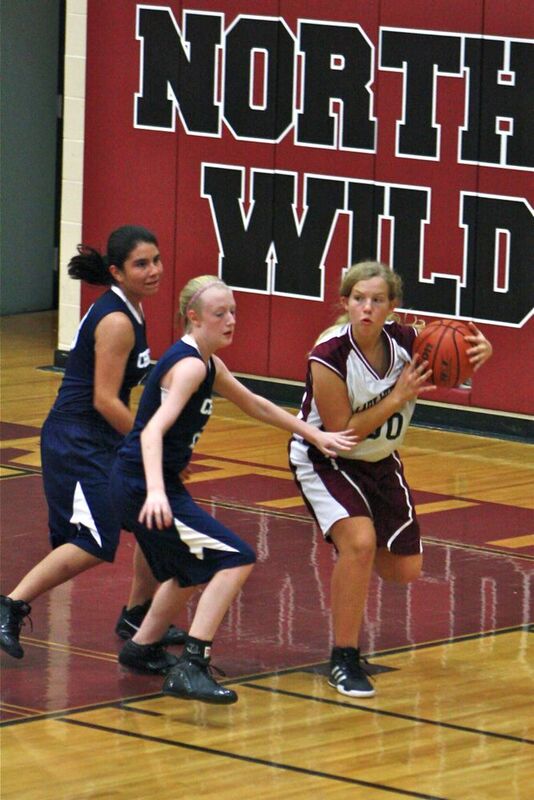 The eight grade season is just now underway, but we're excited to see what this year brings on the court. our snowpocalypse back in February. We missed a whopping FIVE days of school over two weeks. Crazy. The rolling blackouts were nerve-wracking, but it was nice to hit the PAUSE button for a while. a mention of my mom's big move. In April, my mom moved from her apartment into a retirement center. Her new home is still called "independent living," but the center provides meals, light housekeeping and social events. 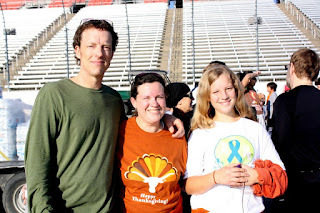 It's been a huge blessing, especially now that Mom's dementia is making everyday activities more challenging. Soon after moving, Mom had to stop driving. In July she was hospitalized for a foot infection, too. It has been tough to adjust to this "new normal," but in spite of this year's struggles, Mom continues to be her cheerful, positive self. the Mavericks' first title! It was so exciting to follow Dirk and the Mavs on their run to their first NBA championship. Brett, who saw the team play in its first season 30+ years ago, was especially thrilled to see our guys hoist that O'Brien trophy. We also enjoyed another season of Rangersmania, even if that Game 6 loss still stings. 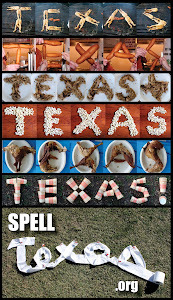 our summer excursion to Austin and New Braunfels. We FINALLY took care of a couple of Austin "to do's," like swimming in Barton Springs and visiting the Tower's observation deck. And in spite of the "low and slow" river conditions, we can now say we have tubed the Guadalupe. another football season. Now that Ryan's in marching band, we have added Friday Night Lights to our weekly football menu. Even though UT had another less-than-stellar season, I still had a blast cheering for my Horns (and spelling "Texas" with anything you can imagine). Of course, our year was not all rainbows and smiles, but we're so thankful for our many blessings. Yet again, even amid crises and struggles, we've been reminded that we are blessed beyond belief. To our friends and family: THANK YOU for your love and support. May 2012 be a wonderful year for all of us!